General Director of the Chekhov International Theatre Festival Valery Shadrin. 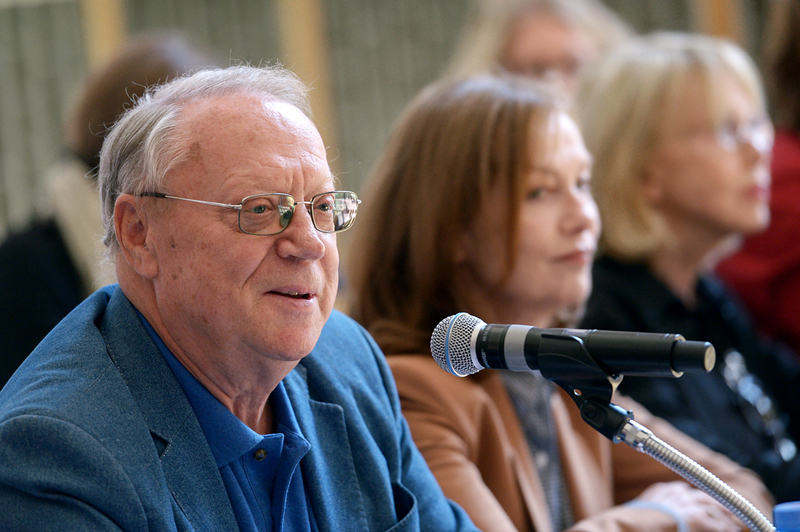 Valery Shadrin, longtime director of the Chekhov International Theater Festival, was rewarded for promoting British and world dramatic arts in Russia. Valery Shadrin, the general director of the Chekhov International Theater Festival, was inducted as a Member of the Order of the British Empire on July 18, 2016 for promoting British and world arts in Russia. The decoration was presented to him by Dr. Laurie Bristow, the UK Ambassador to Russia, at the country’s embassy in Moscow. The Chekhov International Theater Festival has been held in Moscow since 1992. Shadrin is one of the festival’s founders and has been its director for the last 24 years. The festival has contributed considerably to the promotion of British dramatic art in Russia and it was there that the works of Declan Donnellan, Matthew Bourne, Simon McBurney and other British directors, choreographers and actors were first introduced to Russian viewers. The Russian actor Vasily Livanov, known for his role as Sherlock Holmes, the cellist and conductor Mstislav Rostropovich and the conductor Gennady Rozhdestvensky were also named members of the Order of the British Empire for their contributions to the arts and the development of relations between the UK and Russia.